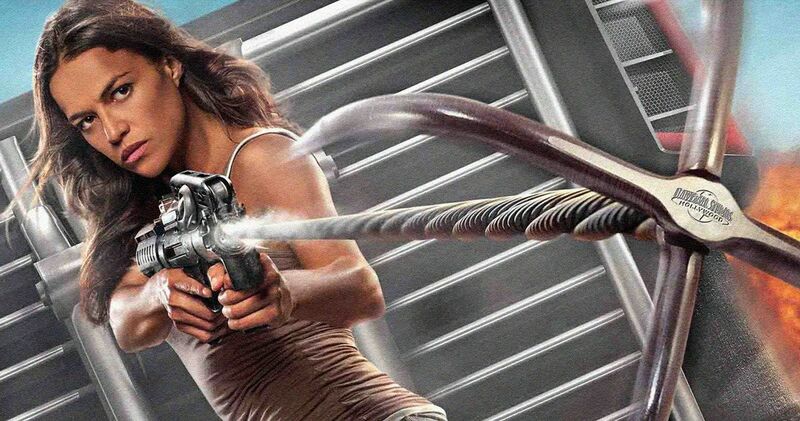 It looks like a Fast & Furious Female Spin-Off could be on the horizon. The car-centric, action-heavy franchise has been a massive hit for Universal, especially in recent years, and they’re showing no desire to end things anytime soon. Part of the future will involve more spin-offs centered on the characters we’ve come to know in the series and, thanks to some recent social media activity by Vin Diesel, it looks like one of those spin-offs will be a female ensemble affair. Vin Diesel, who has been at the center of the franchise since the very beginning, is currently shooting his new comic book movie, Bloodshot. The actor recently took to Instagram to provide a little update on the status of that project, and to show that Cody Walker, brother of the later Paul Walker, decided to pay him a visit on set in Africa. It was during this little update that Diesel dropped the new details. Here’s what he had to say. The actor sort of stops himself and it appears as though he maybe said too much. But the info is out there and it looks like Universal is interested in not one, but two different spin-offs that were pitched by Vin Diesel. While no further info is provided in regards to what that second movie could be, it looks like Letty and Ramsey are going to get the chance to shine. This would seem to make a good deal of sense. Fast and Furious 9 and 10 are in the works, but it’s going to become increasingly difficult to wrangle the entire cast together for further adventures. Not only that, but the movies can only get so big. These spin-offs will offer a chance to bring things back down to Earth a bit, relatively speaking. Or at least one would at least imagine. Either way, it looks like we’ve got a lot more Fast and Furious franchise action to look forward to. For now, we’re left to wonder. What we know for sure is that Dwayne Johnson and Jason Statham are currently filming the first of these spin-offs, Hobbs and Shaw, which is set to arrive in theaters next year. Beyond that, Fast and Furious 9, which doesn’t yet have an official title, will follow in 2020. By the sound of things, we could be looking at some extended adventures as well in the coming years. Be sure to check out Vin Diesel’s Instagram video below and speculate wildly as to what these spin-offs may end up being.